If you are shopping for a Honda HR-V near you stop by Ed Voyles Honda. 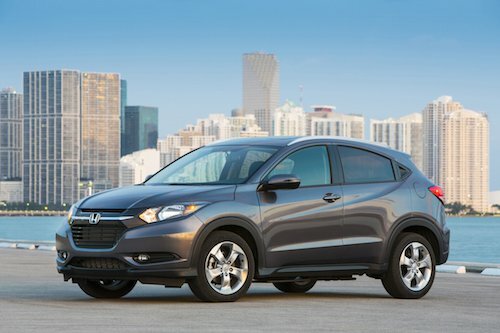 Our dealership offers a selection of the all new Honda HR-V near Atlanta, Georgia. This compact SUV is one of our most versatile models and it is loaded with convenient features. The HR-V’s split folding rear seats and expansive cargo space allows plenty of room for passengers and everything they bring on board. See our full inventory of new Honda HR-V models near Atlanta compare prices, vehicle details, color options and trim levels. Easy and convenient Honda financing and leasing is available in our Honda finance center close to Atlanta. Our auto finance team is here to explain your options for buying or leasing a new or used vehicle. We can also help you take advantage of new Honda specials and current dealer offers. We invite you to come test drive the new Honda HR-V near Atlanta, GA. Our dealership is close by and our team would love to meet you.